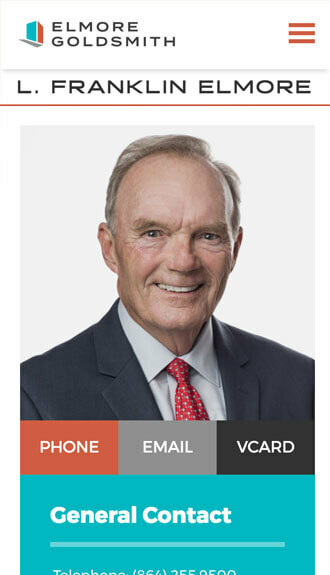 Elmore Goldsmith practices construction law throughout the Carolinas. 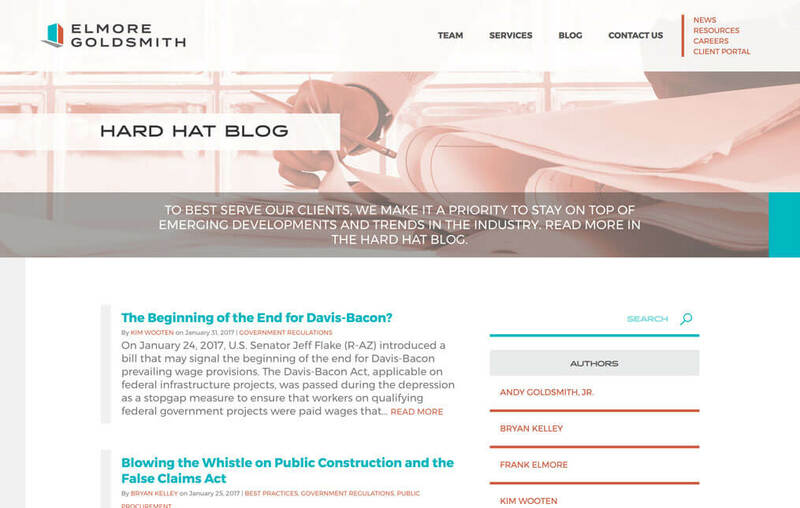 The firm approached Beam & Hinge to modernize its brand and encapsulate its expertise in construction and surety law through a compelling identity and engaging website. 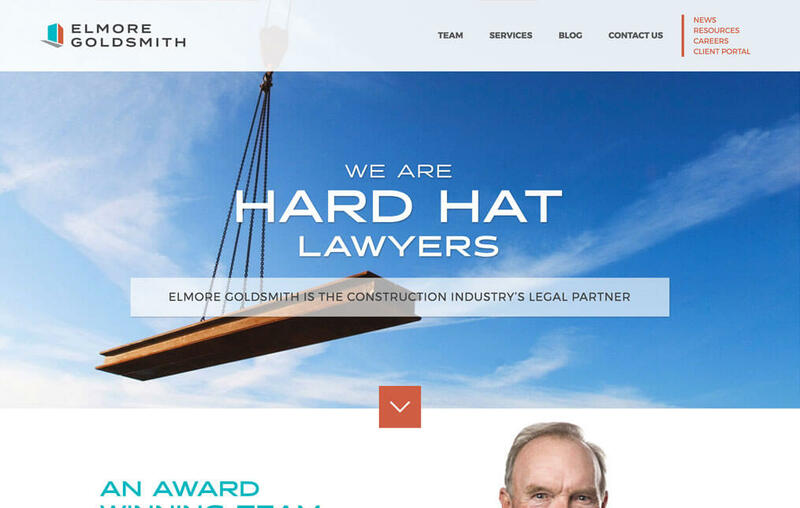 Elmore Goldsmith’s website highlights the strength of the firm, its people. 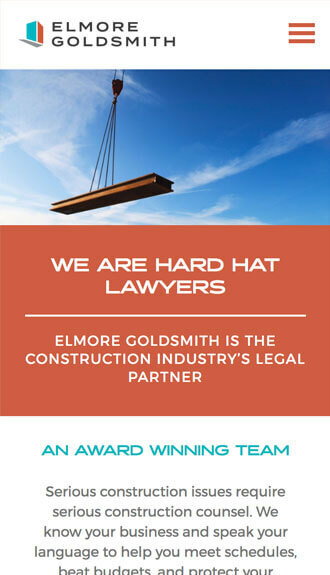 The attorneys of Elmore Goldsmith are committed to serving the entire construction industry as they freely share insightful information and the latest trends through the firm’s frequently updated Hard Hat Blog. 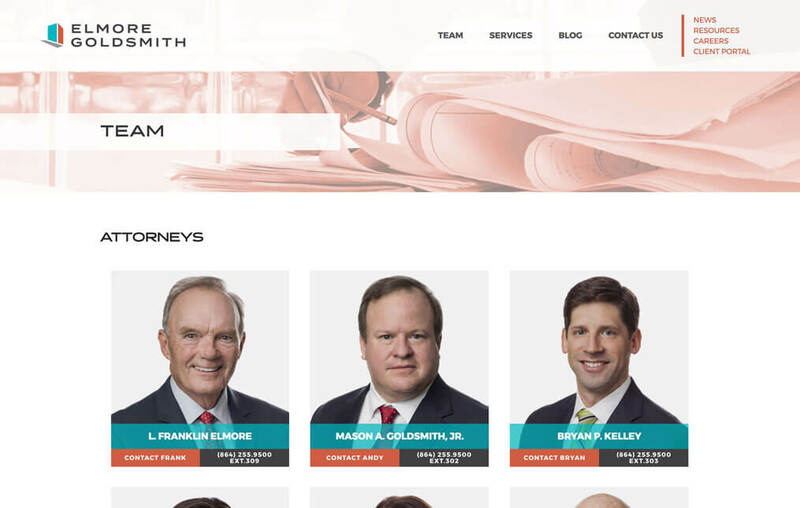 The thought-provoking blog allows users to quickly find articles by subject and author, allowing the firm’s attorneys to be strongly tied to their areas of expertise. Beam & Hinge guided us through a thoughtful process to modernize our brand and our overall approach to digital strategy for our firm. 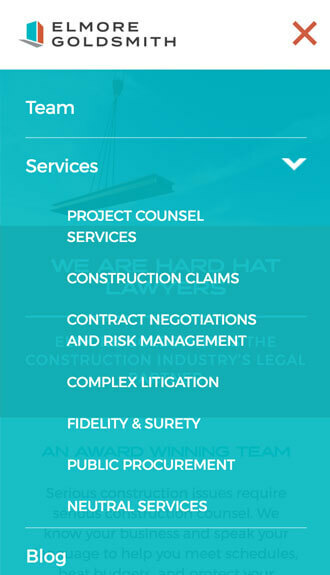 Through our new branding and website, we are establishing a strong presence in the construction industry across the Carolinas.